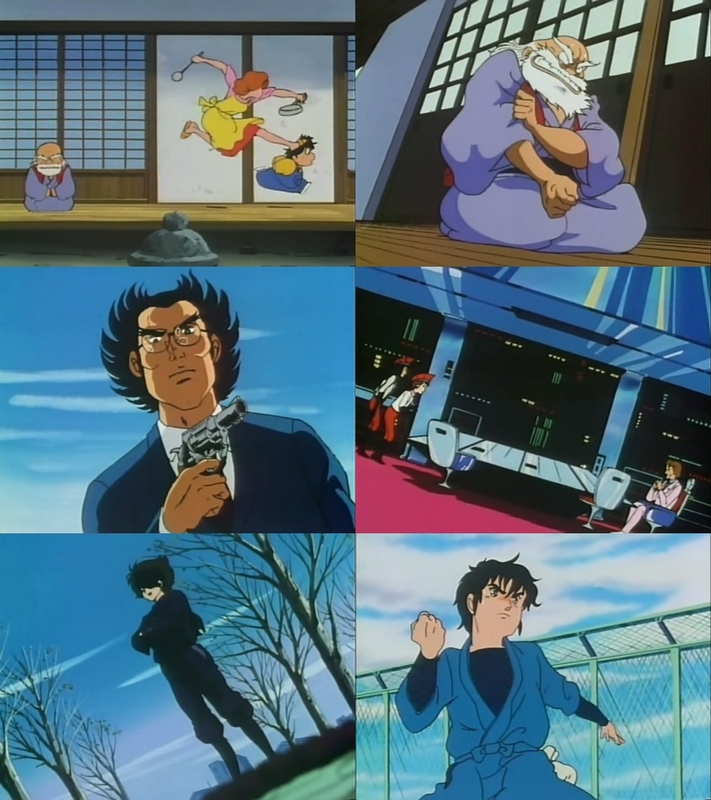 I’ve been watching ‘Sasuga no Sarutobi’ (also called ‘The Academy of Ninjas’) up to episode 20 over the last few weeks, an 80s ninja/martial arts comedy that feels a lot like Ranma 1/2 if you ask me. It’s been quite a fun show so far (despite somewhat clichéd story and characters), which stems from the fact that the show really delivers on the animation side of things. It’s not a coincidence that this anime is frequently treated as a classic example of an 80s TV ‘sakuga anime’ after all. Besides the fact that they used an extraordinary number of drawings for each episode (6000-8000 animation frames per episode, so more than twice of a typical TV anime at the time), it’s particularly the animators and directors who used that luxury to do all kinds of interesting things. Studios like Kaname Production (best known for producing ‘Birth’), Anime R and Animaruya worked on the series as subcontractors, and those studios were usually the ones which did the most interesting episodes from an animation perspective. As for individual animators, the two people who renownedly stood out here were Masayuki and Yoshiji Kigami. In Kigami’s case, his animation on ‘Sasuga no Sarutobi’ is probably the work he’s best known for in the anime industry even to this day. When Kigami is mentioned by people within the industry, it’s usually in relation to ‘Sasuga no Sarutobi’, like in this Toshiyuki Inoue x Hiroyuki Imaishi x Yuichiro Oguro discussion. And Hiroyuki Kitakubo seems to associate Kigami primarily with ‘Sasuga no Sarutobi’, too. After watching 7 episodes of ‘Ano Natsu de Matteru’ I’m bound to say that this is a damn fine show considering its genre and the studio. 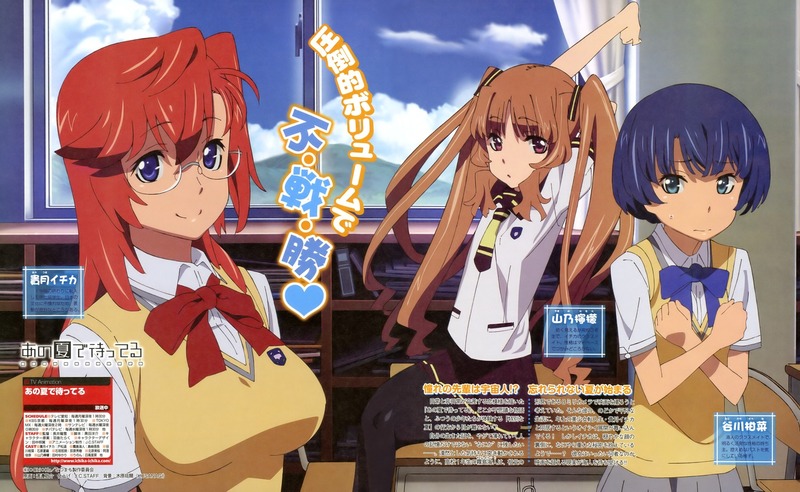 I can’t say that I’m an avid fan of romantic comedies or that I like J.C. STAFF‘s usual output. Actually, the last J.C. STAFF series I’ve watched in its fullness was ‘Toaru Kagaku no Railgun’, which happens to be one of the previous works of Tatsuyuki Nagai, the director of ‘Ano Natsu’. He is one of the few directors who do decent work at J.C. STAFF these days. J.C. STAFF‘s glorious days where Kunihiko Ikuhara, Fumihiko Takayama and Akiyuki Shinbo were active there are long gone, nowadays it’s just the embodiment of the copy-and-paste approach and stagnation in the industry. While ‘Ano Natsu’ doesn’t deviate from the usual J.C. STAFF formula, it’s a surprisingly well-executed and fun show for the most part. Director Tatsuyuki Nagai and character designer Masayoshi Tanaka have already proved several times that they are a good team that knows how to make enjoyable anime, and ‘Ano Natsu’ is no exception. Once again Masayoshi Tanaka‘s excellent animation backs up Nagai‘s skillful directing, and fortunately their work isn’t dragged down by Mari Okada‘s writing this time. 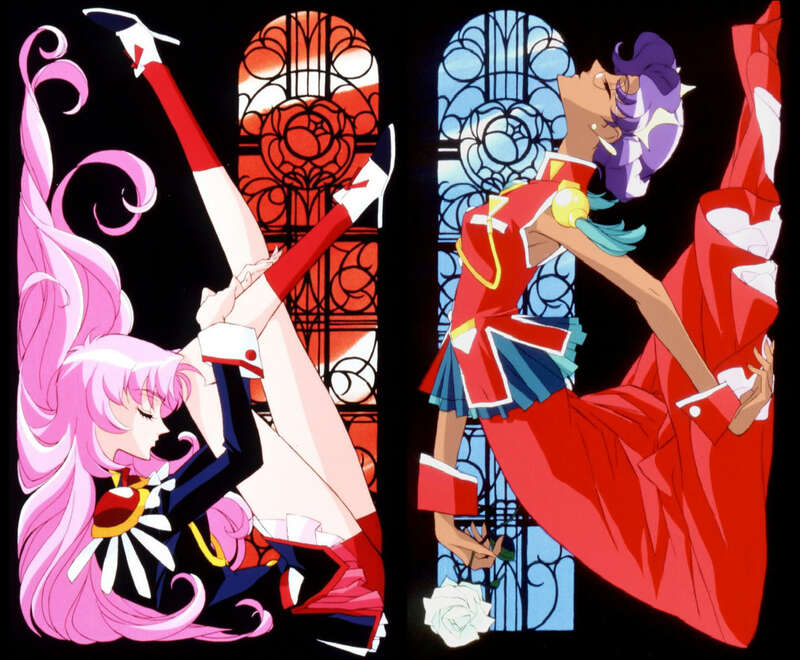 I think now – while ‘Mawaru Penguindrum’ is getting a lot of attention – is a good time to do a post on how Kunihiko Ikuhara and his previous anime (‘Shoujo Kakumei Utena’) have left a mark on the industry. 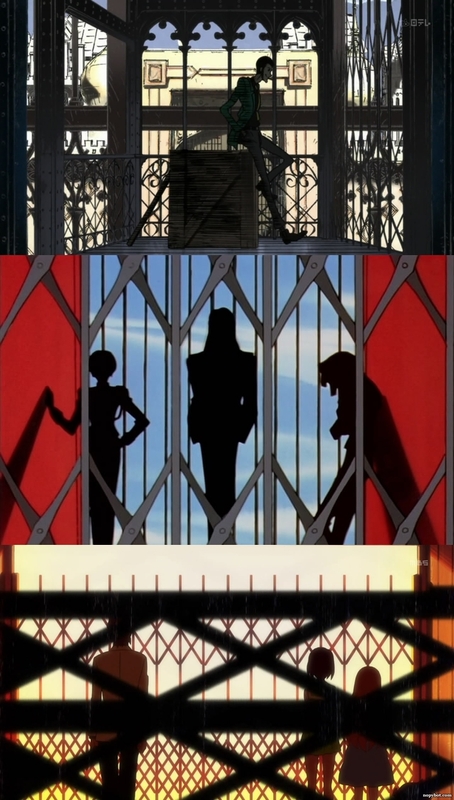 When I saw this blog post from ghostlightning a while ago, I thought I might do something similar, but focus on the directors and the way they were influenced by Ikuhara‘s approach to directing/staging instead. Ikuhara‘s style might not be everyone’s cup of tea due to the shoujo (manga) aesthetics, but those who can get over that are in for a real treat. His directing is tricky, fun, original, and he also knows well how to capture the audience’s attention and interest. Ikuhara‘s usual stylistic & narrative devices include pretense and bluffs as well as metafiction and, above all, metaphors. His enthusiasm for theatre led to one of the most apparent stylistic traits of his work, namely a stage play-like presentation with a mise-en-scène policy of showing only what really needs to be shown, maintaining a tight control over the screen at any time. So in other words, he doesn’t aim to make a ‘live-action’-like anime that orients itself more or less by reality, but one where the images themselves become a strong narrative tool (which is especially true for Utena). Even if the influence from Dezaki is still very obvious in Ikuhara‘s work (in fact on the narrative side of things as well), he took this foundation and added his own traits and sensibility to it. And Dezaki wasn’t the only one who shaped his style, he started out working under Junichi Sato at Toei Animation after all. The way Ikuhara handles comedy, in particular, has a very Sato-ish feeling. And considering what Mamoru Hosoda points out in this interview, Sato wasn’t the only mentor of Ikuhara. I was kind of surprised when I first read this, but apparently Shigeyasu Yamauchi (Casshern Sins, Yumekui Merry) was Ikuhara‘s mentor (as well), which makes sense once you think about it. In the same interview, Hosoda declares that Ikuhara was his own mentor – which is pretty obvious once you compare their styles. Overall, I feel Yamauchi vibes much more strongly in Hosoda‘s anime (his One Piece movie being the first example that comes to mind) than in Ikuhara‘s. Well, back when Hosoda was an animator at Toei Animation, Yamauchi was still a big shot and an influential figure there, and Hosoda said himself that he had been influenced by Yamauchi. 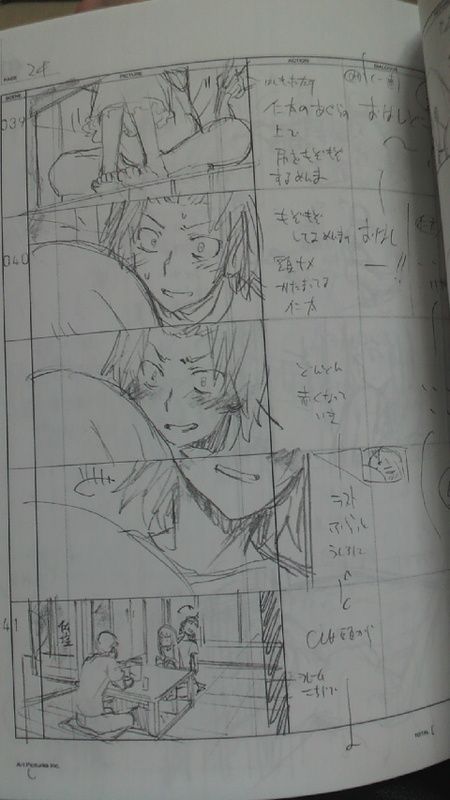 As Yamauchi directed ‘Penguindrum’ #18, the connection to Ikuhara seems still to be there even if they haven’t worked on anything together for a long, long time (since 1991 when Ikuhara was assistant director on Yamauchi‘s ‘Magical Taruruuto-kun’ movie if I’m not mistaken). To come back to Utena and its legacy, I’ll list below the directors whose works were most influenced by Utena/Ikuhara and who could be more or less described as Ikuhara‘s disciples or followers. 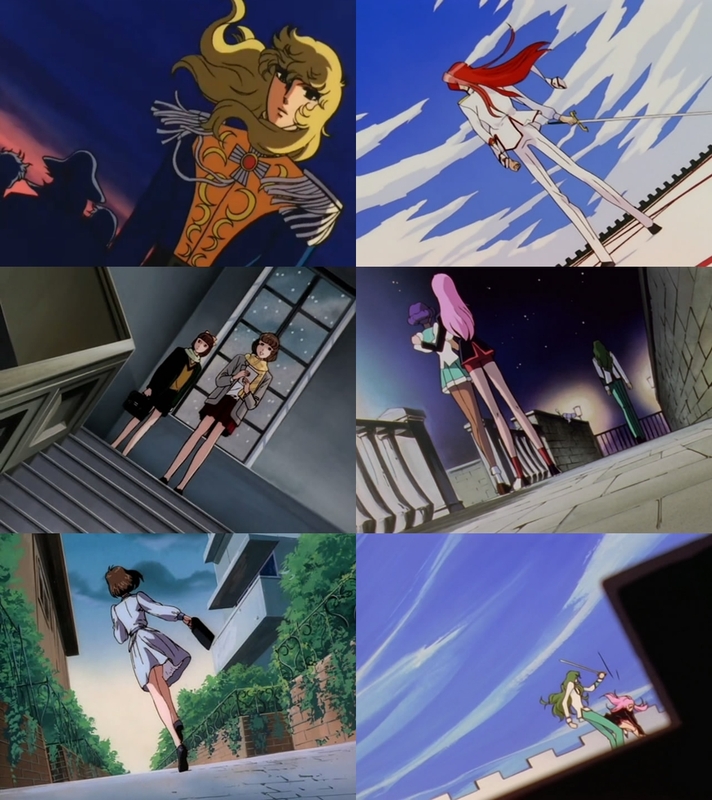 Utena was a hotbed for talent due to Ikuhara giving most major staff members the freedom to incorporate their own ideas, which gave many of those young directors the chance to try out new things and shape their style in an environment of (relative) creative freedom. Many of them turned out to be great directors, with some even becoming real stars of the anime industry. Ikuhara‘s influence has reached even far beyond his co-staff members on Utena, he has always had a good eye for talent and has openend the path into the anime industry for many gifted creators, such as his friend from high school days and scriptwriter of Utena, Yoji Enokido, or Ichiro Okouchi, who is most famous for writing Sunrise shows like ‘Planetes’ and ‘Code Geass’. Just like on ‘Penguindrum’ with young talents such as Shouko Nakamura, Mitsue Yamazaki and Katsunori Shibata, Ikuhara put many up-and-coming creators in charge of crucial positions on Utena as well. 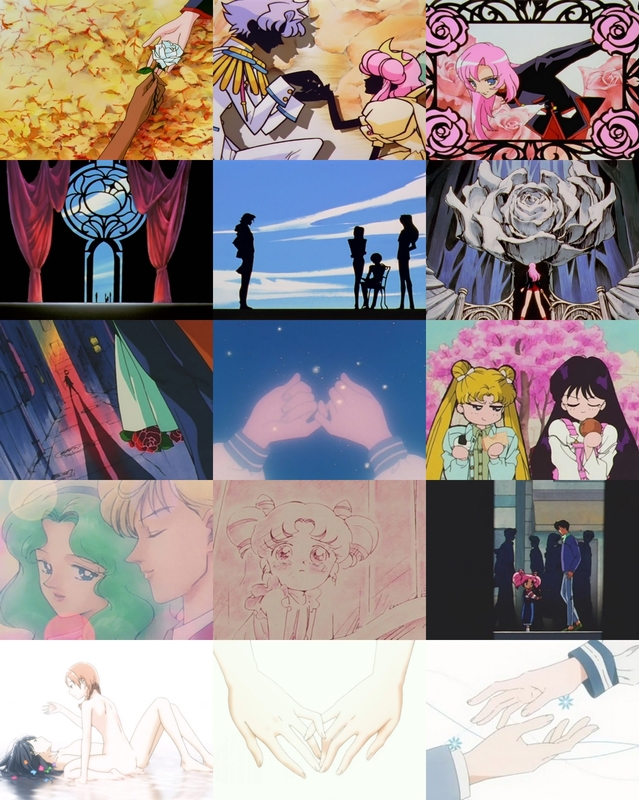 I’m aware that some of the directors listed below had been influenced by Ikuhara even before Utena (such as Takuya Igarashi), but I’ll still concentrate on their roles on Utena since it was the first anime where Ikuhara really went all out; he left Toei Animation due to the insufficient creative freedom there after all. One of the most promising young anime directors that has come on the scene during the last decade is Takayuki Hirao [平尾隆之], who first came into my awareness with his work as episode director on certain Madhouse shows. 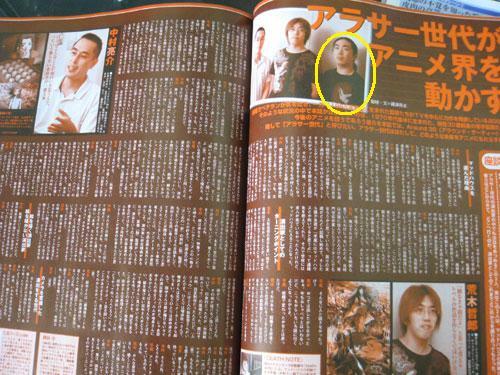 As the picture on top of this entry (Animage 11/2008) indicates, he can be considered as part of the influential generation of directors in their 30s. That Animage article/discussion also featured two other talents of the same generation, namely Tetsuro Araki and Ryousuke Nakamura, and that not by accident. All three started their careers at Madhouse with Hirao and Araki even working on the same projects (such as ‘Jubei-chan’ and ‘Card Captor Sakura’ movie) as production assistants, so it’s not surprising that they became good friends in private life as well.